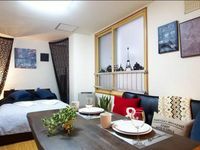 Properties in Sapporo average 4.3 out of 5 stars. Property 3: 7min Downtown! Cosy&Modern house! Property 13: Sapporo.NEW!#1 Stunning view from room! Property 33: 1 min from the nearest station! 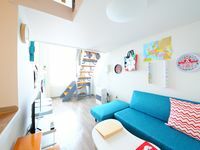 Property 36: Up to 12 people 2 room plan ・ 1 minute walk from the nearest station ・ 5 minutes subway to Sapporo Station / Odori / Susukino! #7 6 mins to Hosuisusukino! wi-fi! Property 45: #7 6 mins to Hosuisusukino! wi-fi! We had a great experience here. This place is easy to find and can walk to/from Sapporo JR Station as expected. Thanks Host for supporting.